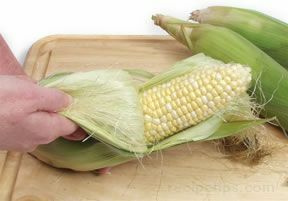 A type of corn that is named for the indentation on the top of the kernels that develops as the corn dries in the field. 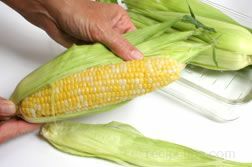 Most of the corn grown in the United States is dent corn, which is also known as field corn. 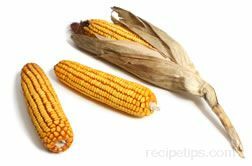 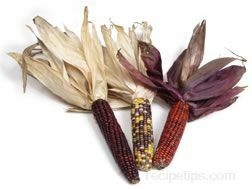 Dent corn is low in sugar content and high in starch with kernels that are very firm. 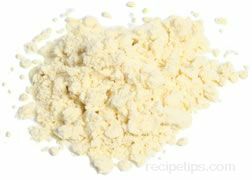 It is primarily used for animal feed and commercially prepared products for human consumption, such as syrups, sugars, cereals, corn chips, starch, oil, liquor, and sweeteners for soft drinks. 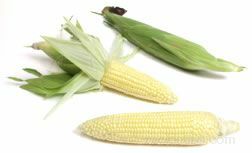 Non-edible manufactured goods are also produced from dent corn, such as plastics, adhesives, and fuel additives.